I think I mentioned in my making-gumbo post that Tara and I were looking for a new bed. This is a necessity now that Audrey is living with us. Just a few weeks earlier, I sold her twin bed on Craigslist. We were trying to pare things down before the move and get rid of as much excess stuff as possible. And, her move into our home full-time was unexpected. She’s been sleeping on a mattress on the floor ever since, but that’s a short term solution until we move (two days from now. 2 DAYS. Whoa). And because she’s older, and Tara isn’t a fan of our current bed (“it’s too soft,” she claims, but that’s like saying your bank account has too much money in it, at least in my opinion), so we decided to give her our old bed and buy a new one for ourselves. My Sleep Number is NOT $5,000. We were intrigued by the Sleep Number bed, and decided to check it out. My parents warned me in advance “that’s an expensive bed,” but my dad also complains when breakfast exceeds $8 a plate, so I figured it was all relative. We stopped by the local store on a rainy Saturday a couple of weeks ago and met with a salesman named Adam, who did a nice job of convincing us this bed was the best thing since sliced bread. (By the way, why is it when people talk about really cool life-changing inventions, they always mention sliced bread? I’d think the wheel would rank higher. Or electricity). Since I like it soft and Tara prefers hers hard (that’s what she said), the fact that we could each adjust the firmness level to appeal to our personal comfort was a big plus. Each side of the mattress could be raised or lowered, too – perfect for reading or watching TV. To say we were big fans of the bed would be an understatement. But then came the price quote. Let’s just say we could eat twenty-five dinners at Beast for the price of this mattress. “Shall I ring you up?” Adam asked adorably. I say adorably because it was cute how he thought we were willing to just plop down five grand for a new bed without at least sleeping on it. Pun intended. Oh, to be so young and naive! Salesmen amuse me. Still, we went through the motions, filling out a credit application and receiving instant approval for in-house financing. We left with the promise of having a decision by the next day, pending a little research. The truth is, it was such a nice bed I was willing to take the plunge. IF the internet told me Sleep Number was a really good brand and worth the price. The internet did not tell me Sleep Number was a really good brand and worth the price. Breaking up with your bed salesman is hard to do. Instead, reviews – both professional and personal – were mixed at best. People who love the bed love the bed. But those who don’t (of which there were many) are equally vocal in their disdain for the bed. I have no personal experience so I don’t know which camp Tara and I would have landed in, but for that price we weren’t about to take any chances. Too many people complained about the mattress sagging in the middle, the mechanics breaking down, the limited nature of the warranty, etc. So we went to a discount mattress store and bought a conventional “cushion firm” pillow top mattress instead. For a lot less money. Meanwhile, Adam kept calling me. And I kept ignoring those calls, letting them go to voicemail. Breaking somebody’s heart is never easy. So we hung up, and though Adam was disappointed, he thanked me for being man enough to let him know immediately instead of dragging things out indefinitely. And please tell Tara, me too! 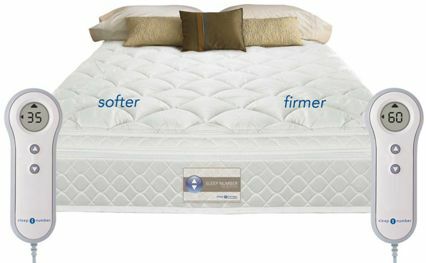 But all kidding aside, I do prefer a harder/firmer mattress. Heck, I sleep on a futon mattress, which you can’t get any harder than that. This is why I also do online research of personal reviews before committing to a big purchase. OK, I just made that up! But it could be, you know. At least you probably don’t have any back issues. I rarely ever commit to a major purchase on the spur of the moment, while in the store…although the exception to that rule is when it comes to buying a car. Go figure. Of course, by then, I’ve done plenty of research already and know what I want. Online comments are a godsend for purchases of any size. Amen! What did our forefathers do before the internet when they wanted to buy a bed?? How incredibly hilarious, Mark! Seriously, does it get any better than this? $5,000 for a bed?! YIKES! That’s crazy. 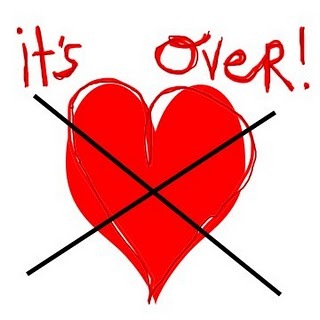 Happy moving on Friday, my friend. I have a hard time justifying that when I realize that same amount would equal a serious down payment on a car! At least you let him down gently and he won’t be one those guys who keeps wondering what he did wrong and why didn’t you return his phone calls and why does he have to cry himself to sleep every night and why is he all of a sudden eating more than he should and why is he gaining ALL this weight and why, why, why, DAMMIT!?!?! Yeah…good thing you got Direct TV and not cable. Jeeze, Louise!! Kelvin & I also wanted a sleep number bed (especially now with me needing to sleep elevated) but were not willing to fork out that kind of money for a bed with a bad reputation either. So right now I sleep on 3 pillows until my hips & back can’t take anymore, then I move to my recliner. Kelvin just sleeps the whole night in his recliner. Well, at least a recliner is a lot less expensive than a Sleep Number bed! Hang in there, you two. I would have to run downstairs and tell you what my mattress is, I love it. Have loved it for 20 years. It is tired now, ready for a change. When I finally break down and buy a new one, I will buy the exact same one. That is how much I love it. Good for you, doing the research. Nice of you to break up with Adam gently. I bet he saw dinner at The Beast flying out the window with that commission check. LOL. No kidding! He went from a fancy dinner at Beast to a Big Mac. Hope the guy had a decent lunch, at least.